As the Waikato River is important to all the people of the region, the ultimate measure of the Vision and Strategy will be that the Waikato River will be safe for people to swim in and take food from over its entire length. The area that the Vision and Strategy applies to is the Waikato River from Huka Falls to Te Puuaha o Waikato and the Waipa River from its source to its connection with the Waikato River. 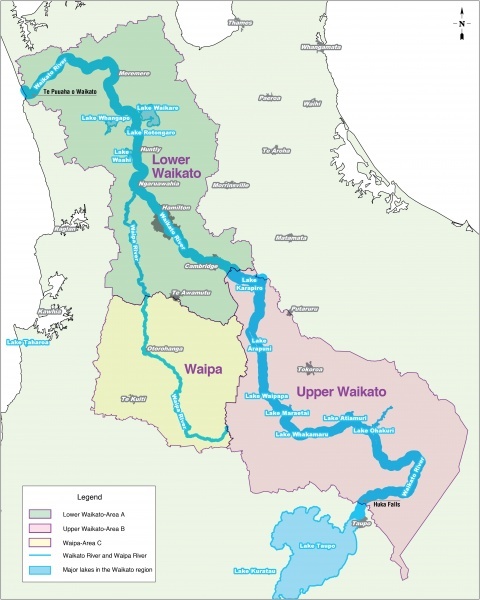 The Vision and Strategy also applies to the activities in the catchments affecting the Waikato River.